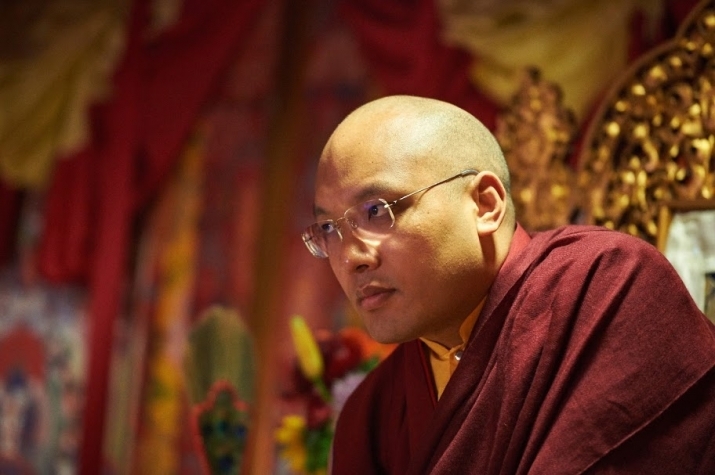 You are here: Home » Outside Tibet » Karmapa in impasse with New Delhi over his travel document? Karmapa in impasse with New Delhi over his travel document? (TibetanReview.net, Dec10, 2018) – The Karmapa, one of the most influential leaders in Tibetan Buddhism, is unable to come to India because New Delhi insists that he stick to the highly restrictive, little recognized overseas travel document called Identity Certificate (IC) it issues to Tibetan residents in the country whereas the former wants to surrender it and travel on a foreign passport he acquired recently, according to a report in the thehindu.com Dec 9. It is on the basis of this logic that New Delhi reportedly says he does not need a visa to come to India. The Karmapa, 34, recently said he had acquired a passport of Commonwealth of Dominica, a Caribbean island country, for the convenience of his travel to numerous countries where he has large number of centres and followings. However, India is said to be refusing to accept the surrender of his IC. Tibetans travelling on IC only need to obtain a return visa for coming back to the country whereas the Karmapa is seeking a visa on his Dominican passport. The situation has reached an impasse and the Karmapa is currently in retreat. The report said that confirming the impasse, India’s former advisor on Tibetan Affairs, Mr Amitabh Mathur, who has been a key interlocutor, has said the matter had now been put on hold. “There are no restrictions on his travel, however,” he was quoted as saying. Followers of the Karmapa in the state of Sikkim have for long urged New Delhi to permit him to visit the state, given the restrictions under which he had to live near Dharamsala since he escaped from Chinese ruled Tibet in Dec 1999 and reached the town, home to the Dalai Lama, in Jan 2000. It was much later that he was finally permitted, upon prior permissions, to travel to other parts of India and other countries. But the restriction on visiting Sikkim remained and was lifted only after he was out of the country. He has been visiting the USA and Europe since leaving India in May 2017. The Karmapa has made clear his wish to visit Sikkim as well as to take part in a meeting of Tibet’s top religious leaders in Dharamsala. The meeting was originally scheduled to take place at the end of Nov 2018, but had to be postponed indefinitely following the sudden passing away of the head of the Nyingma tradition of Tibetan Buddhism in a freak accident in Nepal.